Insights can be discovered quickly and your company becomes a safer place to work! Insights are discovered quickly and your company becomes a safer place to work! To customize this template after signing up, choose ‘Incident Report’ as example when creating a new survey. Workplace or employee incidents can include work-related accidents but also verbal or physical assaults, dangerous situations, vandalism, aggression, theft, unauthorized use of technology, etc. A study of the US Bureau of Labor statistics about worker injuries, illnesses and fatalities reveals that 4,836 workers were killed on the job in 2015, that is equivalent to 3.4 per 100,000 full-time equivalent workers. In this context, recording the incident details as soon as the incident occurs is crucial. It ensures that all responsible parties are alerted in an efficient way. 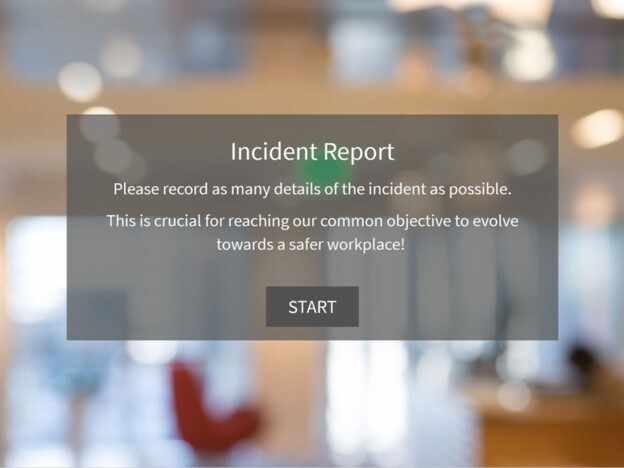 Over longer periods of time, incident reporting allows analysis of why the incidents happened as well as to set guidelines and policies to prevent similar incidents to occur in the future. Why use Survey Anyplace as Incident Reporting Tool? To use this sample incident report, sign up for Survey Anyplace , and choose ‘Incident Report’ as template when creating a new survey. It is important that the incident details can be recorded efficiently and that they are automatically transferred to a central system: Mobile devices such as a tablet or smartphone are ideally suited for it. Incident reporting through paper forms, pdf or word documents is also possible but has the disadvantage that the data still needs to be transferred to a central system as a separate action, which is error-prone and not real-time.